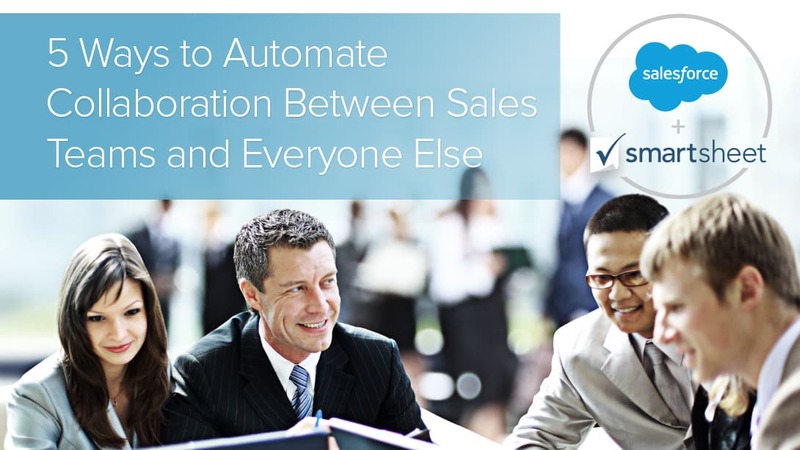 Discover a more collaborative way to manage sales pipeline and operations. In today’s competitive business landscape, no organization will succeed without a thorough, adaptable, strategic sales plan. To gain and retain customers, all businesses rely on their strategic sales teams to understand the market’s changing demands — and to meet these needs. However, the first step in a successful sales strategy is accurate sales forecasting. In this article, we’ll tell you everything you need to know about sales forecasting: what it is and how it relates to sales planning and a sales pipeline, as well as the benefits, challenges, and tips for getting the most out of your sales forecasting efforts. 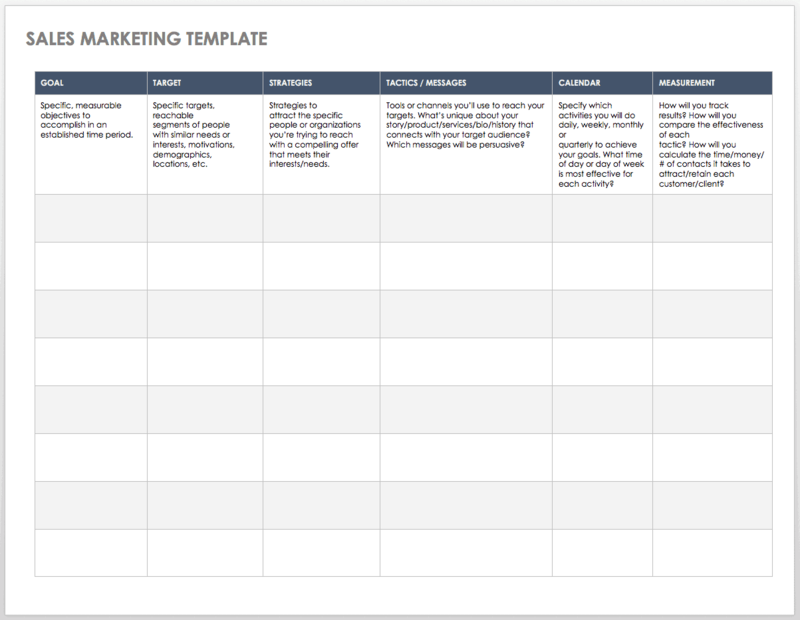 Then, we’ll provide over 15 free, downloadable templates for all aspects of your sales planning activities. We've also included sales plan templates in Smartsheet, a real-time work execution platform that makes sales forecasting easier and more collaborative than Excel. Top performing sales leaders are always on. They rely on work management tools like Smartsheet to give them powerful insights into opportunities, and nuances to close each sale. What Is Sales Forecasting and Sales Planning? Finding the right sales template provides easy organization and efficiency, which frees up resources and time that can go toward reaching business goals. A template can also be a powerful communication tool for sales and marketing teams to develop and track their progress against sales targets. Depending on the nature and scope of your company, some templates can be a component of an effective business plan. 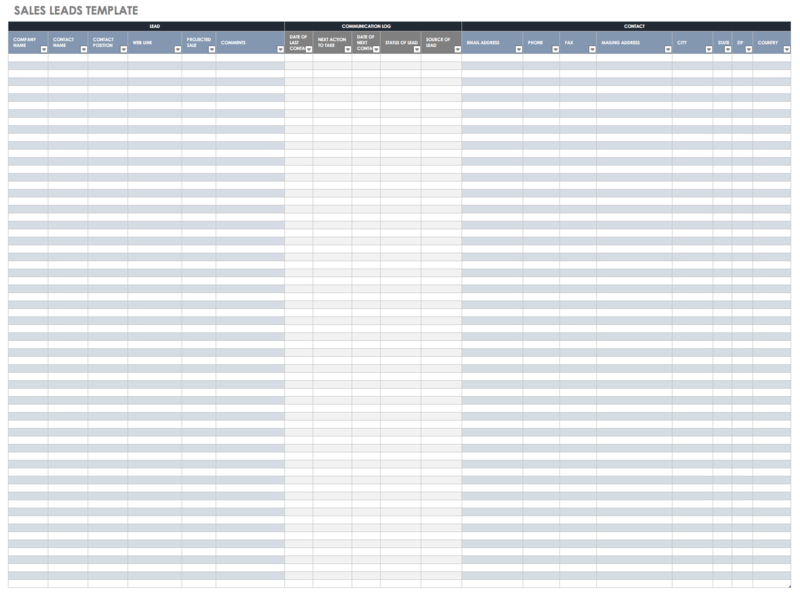 This template allows you to plan your sales goals with the flexibility and functionality of an Excel spreadsheet. This sales plan template is divided into 12 months and separate product lines. The template includes columns for the previous year’s performance, current sales goals, and outcome. Create a yearly sales plan, and compare data over time and across products. If you want to keep track of sales leads but don’t need the full functionality of CRM software, this spreadsheet may be adequate for your business. The template has columns for detailed information about each sales lead, including contact dates and status. This allows you to keep track of communications with each customer, plan future contacts and follow-ups, and evaluate potential sales. You can also indicate lead sources on the spreadsheet to monitor your marketing efforts and track how customers are referred to your business. This sales tracker template makes it easy to keep track of items sold, along with profit per item and total earned income. You can also track costs, including shipping charges, and returns. This template would be especially useful for a new business, online retail sales, or any small business wanting to track sales and profits. Another alternative to CRM software and designed with small businesses in mind, this sales pipeline template keeps track of contacts and estimated sales. It also provides a quarterly sales forecast, along with space to record deal status, projected closing date, and further actions. This simple template is easy to edit and serves as a management tool for your sales pipeline. 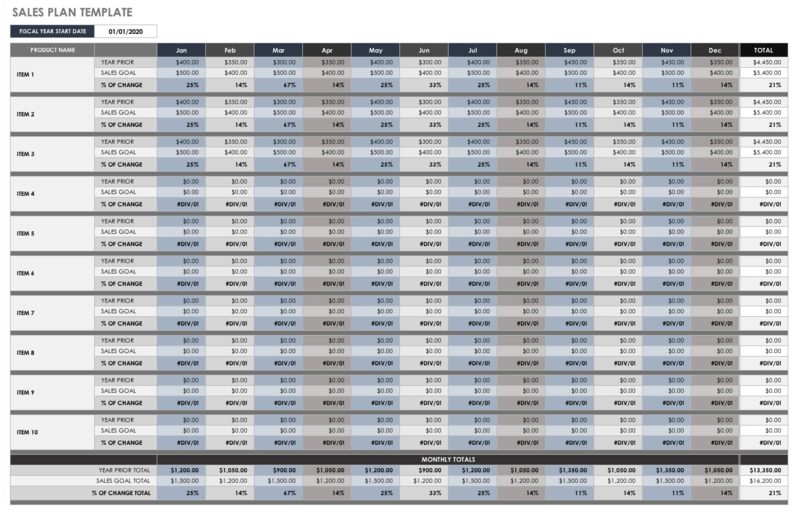 This free template provides a 12-month sales forecast and sales history for previous years, but you can customize it to display six months, 14 months, 36 months, 48 months, five years, or any other length of time that matches a project or initiative. Enter product names, customer groups, or other categories relevant to your business into the first column, and then add your projected monthly sales, taking seasonal or other fluctuations into consideration. The template will calculate the total sales volume for the year. 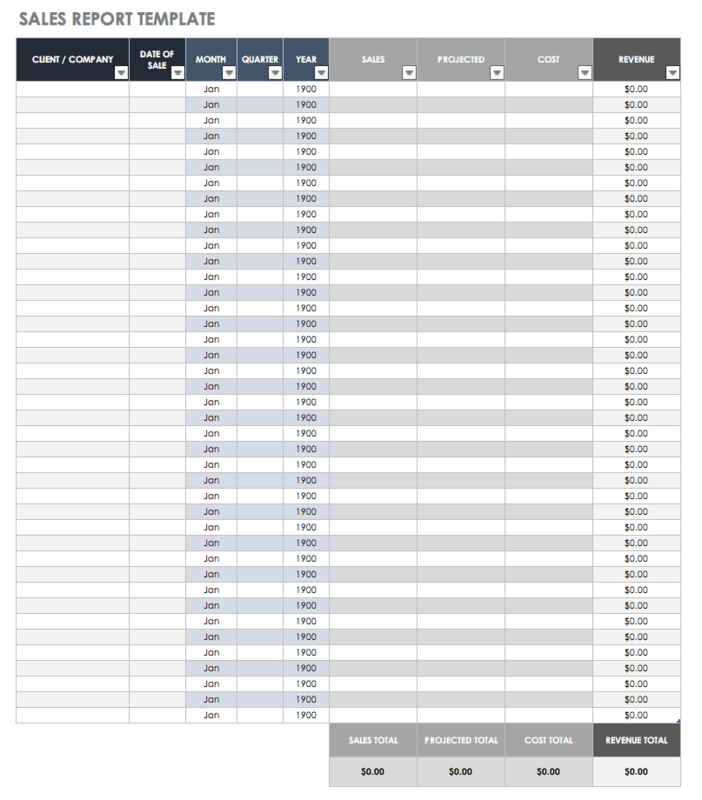 This basic forecast spreadsheet can be an important tool for planning your budget, inventory, and staffing needs. Creating an effective sales and marketing plan may involve market research and analysis, evaluating your competition, looking at your sales history, examining future sales projections, and more. Once you have adequate information to develop a sales plan, a template can help you organize the plan into steps that will drive sales. This sales and marketing plan template provides space for identifying your sales goal, target customers, strategies for attracting those customers, marketing tactics and messages, scheduled action steps, and results. 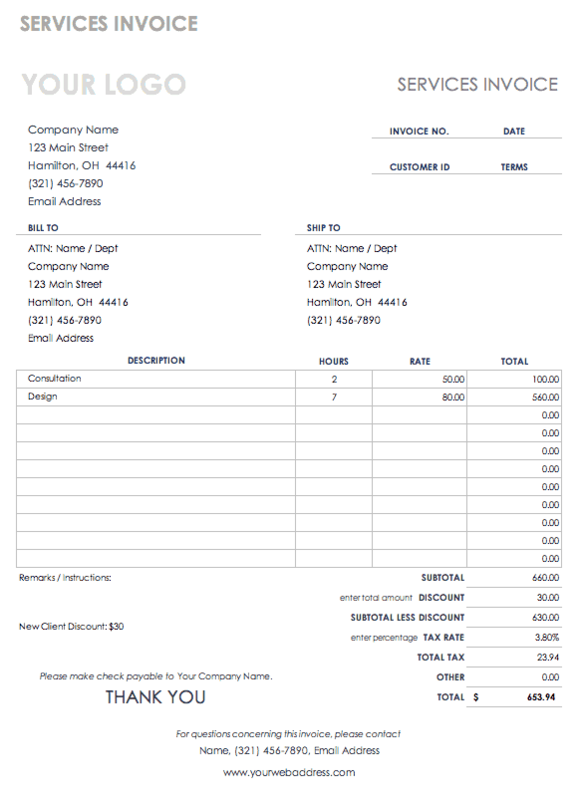 Use this invoice template for any services provided to a client. The form includes a chart to list service description, hours spent, and rate, as well as any discounts or taxes. Simply add client and vendor contact information, and add any additional details that either party requires. This template is available in both Microsoft Excel and Word formats. Use this template to create a more comprehensive vision of your financial goals. List each financial goal (in dollar amount and projected timeline), any potential roadblocks, and concrete actions taken to achieve each goal. This template can serve as a high-level map of where you want to go financially and help you begin generating mini action plans. This sales funnel template provides a visual representation of the sales process, along with whatever sales data you choose to include. 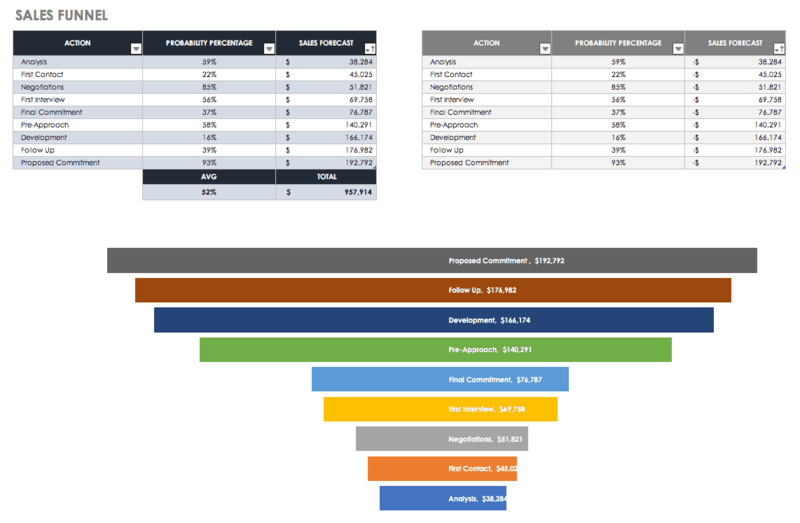 The template can be used as a scorecard to evaluate sales progress, and the funnel makes it easy to visualize the steps in your sales process. 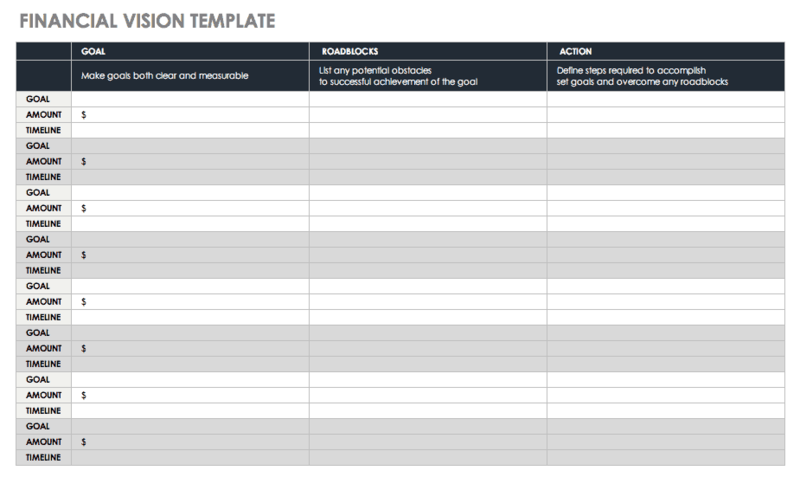 This free template is a simple but effective tool for reaching sales and business goals. Track monthly, quarterly, and yearly sales activity with this free sales report template. 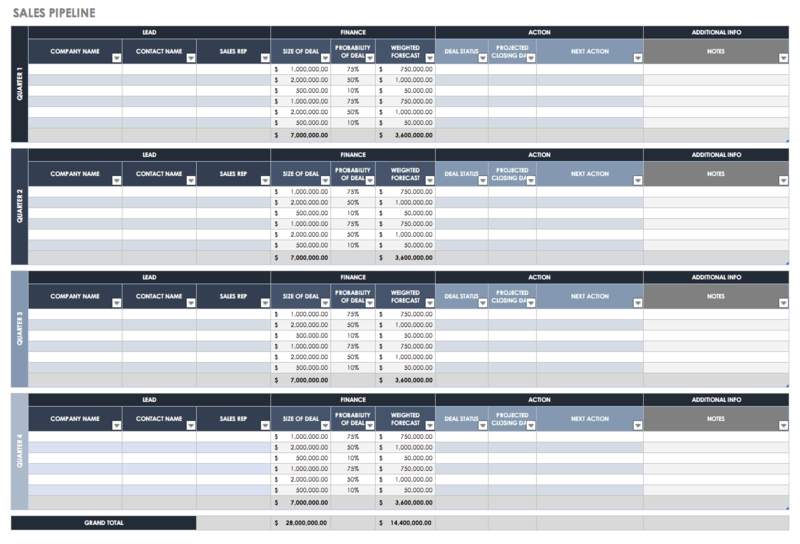 Customize the template or use the existing columns to keep track of sales and pertinent data. 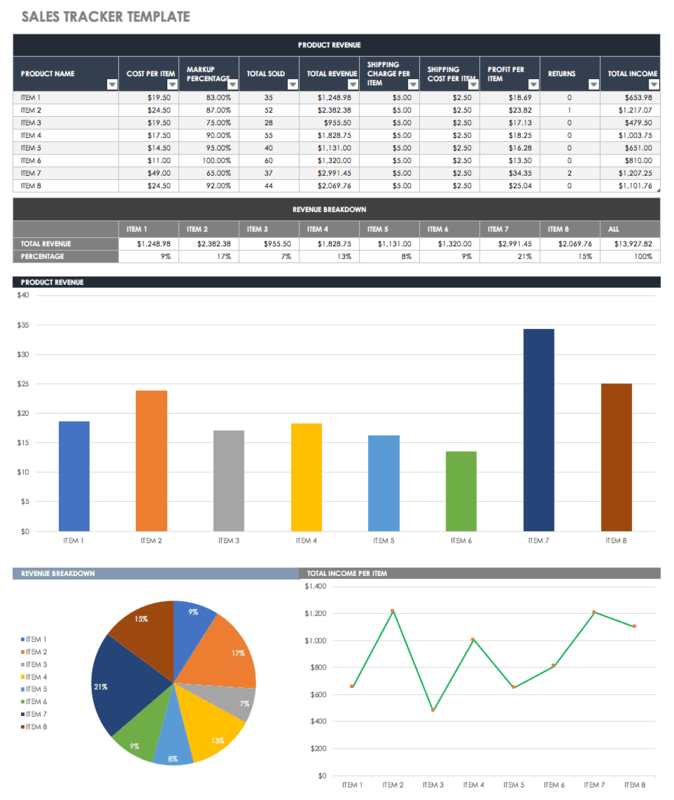 This sales report template also includes a monthly forecast showing sales history and projections. Use this template to track progress, plan future goals, and create a sales report with pleasing visual design. Create a sales plan with actionable steps and a scheduled timeline. 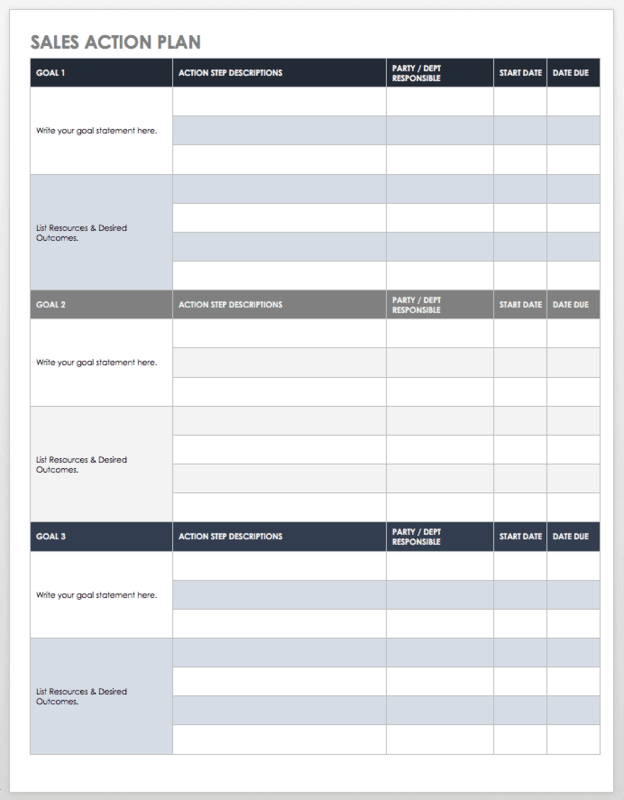 This template features sections for listing clearly defined goals, methods for measuring success, action steps, ownership for each step, and deadlines. These are all important components of a sales action plan for reducing risk and increasing the probability that you will reach your sales goals. 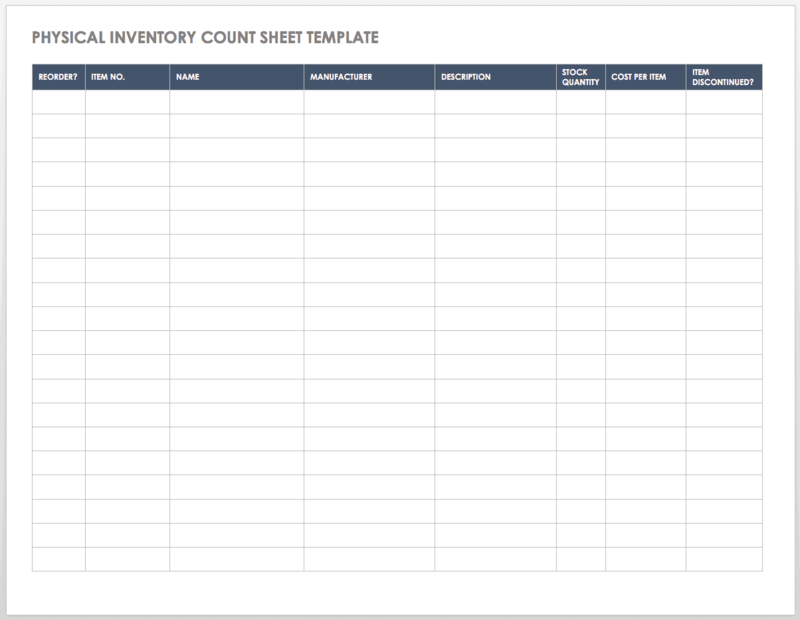 Use this simple count sheet to keep track of all inventory levels and ensure that you are not over- or underordering. List each stock item by name and number, manufacturer, cost per item, stock quantity, and other notes. You can use this information when building your sales pipeline to understand the real value of each inventory item and whether or not you are maximizing efficiency in your supply chain. Emailing a cold prospect requires finesse, brevity, and an emphasis on the value you have to offer. If you can solve a problem for the prospect, it may increase your chances of getting a positive response from that cold email. 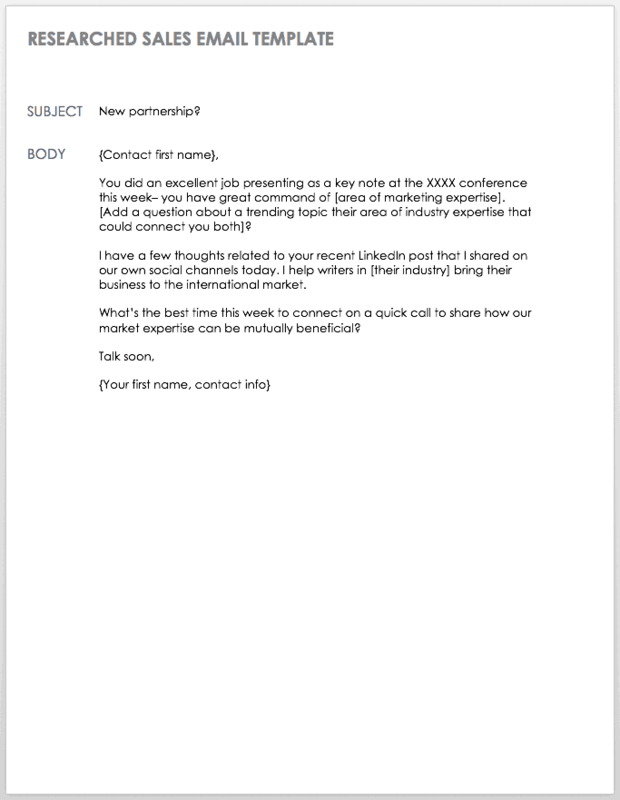 Copy and paste this sales email template into your email provider to save time, or use it to spark your own ideas for how to effectively email new leads. 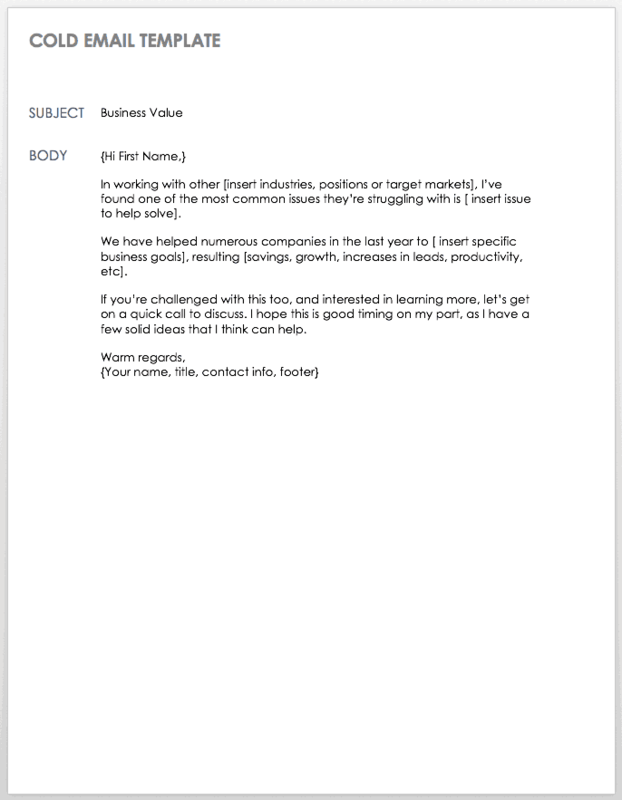 This sales email template is intended for prospects you’ve researched. It’s short and sweet, personal yet professional, and it highlights the value that your business has to offer. Email prospecting may be a key part of your sales plan for connecting with potential customers, but the outcome will be only as effective as your messages. Follow-up is a vital part of email prospecting and building customer relationships. 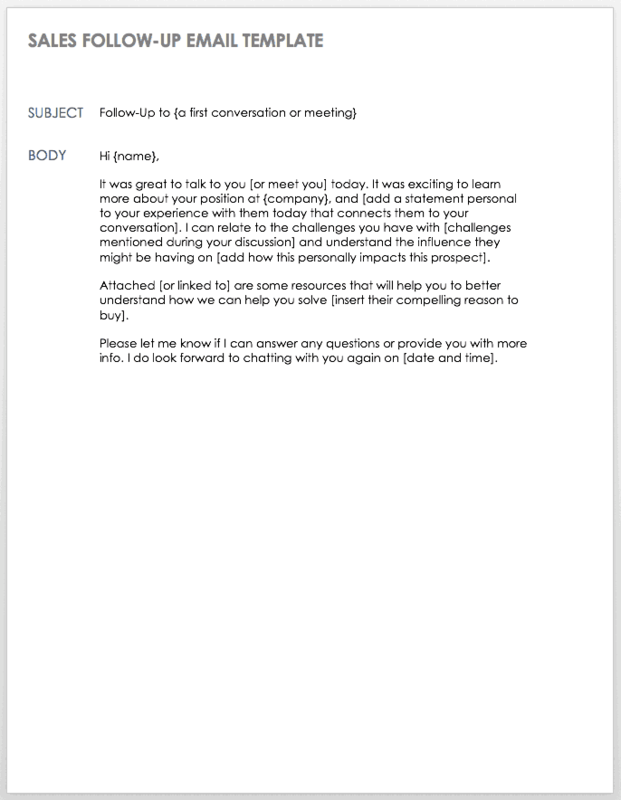 This sales follow-up email template keeps the message simple and to the point. It provides a reason for the customer to stay engaged, as well as a reminder of a future meeting. Your time is just as important as your clients’, and using a sales email template can help streamline communications. While many people conflate the two terms, sales forecasting and sales planning are distinct concepts. A sales forecast is a future projection of organizational sales based on certain business and environmental conditions, and a sales plan defines the concrete steps taken to achieve the sales forecast. You can create a sales forecast for your entire business or a particular initiative over any period of time (examples include an economic forecast; an industry forecast; a company forecast; and a short-, medium-, or long-term forecast). Sales plans are helpful tools when budgeting for advertising or travel costs, identifying new sales markets, planning for staffing needs, and creating a timeline to reach milestones. But a sales plan is just one piece of the puzzle when it comes to business planning and management — and it relies on accurate sales forecasting. Large organizations, small businesses, and startups can all equally benefit from strong sales planning activities. Sales forecasts and plans are most often used by the sales team, although marketers, executives, and even customers may interact with the documents as well. A sales pipeline is a visual representation of where prospective buyers are in the sales process. You can use a sales pipeline as a tool to quickly identify a prospect’s position in the buying journey, then use that information to support them through it and respond to their needs appropriately. A prospect initiates contact with a company and explains its needs. A salesperson provides the prospect with a quote (including the product or service and price). The prospect purchases a product or service (and thereby becomes a customer). Later on, we’ll provide targeted sales pipeline templates, so you can differentiate it from a sales forecast and sales plan. Track deals through all stages of the sales pipeline. Once you’ve used the data from your sales forecast to create a visualization of the process (sales pipeline), you can more easily identify bottlenecks, weak stages, or upcoming threats, then respond to them before they snowball out of control. Revise your sales process and strategy. Your sales forecast will reveal trends in market demand and customers’ buying tendencies. Therefore, you can adapt your process, strategies, and expectations to align with the data-backed reality of your sales prospects and appropriately prioritize potential deals. Plan for future growth. Again, accurate sales forecasting enables you to substantiate your future sales projections. This will help you plan for growth and give a clear benchmark of what you need to do to break even or make a profit. Spend more time selling. Ultimately, taking the time to forecast sales (and create a sales plan and sales pipeline) will save you time down the road. Get the planning activities out of the way so that your sales representatives can spend their valuable time with customers (rather than crunching numbers). Sales Planning: Sales forecasting directly affects sales planning, as the outcomes of your sales forecast determine the material steps you define in your sales plan. Sales representatives use forecasts to map out their actions and identify new customers. Demand Forecasting: This is a by-product of accurate sales forecasting, which gives you implicit information about the market demand for your service or product. You can use this intel to project information about future demand. Inventory Control: Once you have a better understanding of projected demand, you can work to maximize efficiency in your inventory planning and avoid over- or understocking. To learn more about inventory control and its importance, read this article. Financial Planning: Forecasting is the first step in ensuring you make accurate profit and revenue projections — essential for keeping your business afloat. Supply Chain Management: An accurate sales forecast will enable you to appropriately disperse resources throughout your supply chain. You can read more about supply chain management here. Continued Product Improvement: Ultimately, sales forecasting will force you to continually refine your production process and improve your products or services, as it reveals changes in demand and audience engagement, as well as internal process inefficiencies. Sales forecasting is especially critical for sales leaders because it will impact how they measure team performance. Without accurate sales forecasting, a sales leader won’t be able to set quotas or support the team as it works toward its goals, and the sales team will not know their goals (or be able to define a strategy) when entering the market. As we’ve discussed, sales forecasting can be vital to your sales team’s (and organization’s) success. 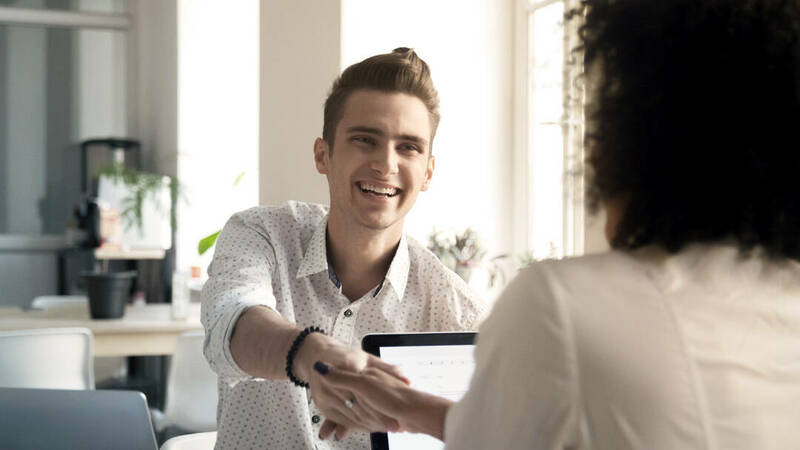 However, it is not an easy undertaking — in fact, it can be one of the most difficult and time-consuming aspects of sales. Several factors can diminish the effectiveness of your sales forecast. Using inadequate or limited historical data can reduce the accuracy of projected trends, and you can’t always predict changes in demand or fashion. The biggest challenge is rapid growth: Not only can drastic changes make it difficult to accurately forecast sales figures, but a sudden increase in workload can take a toll on employees and complicate the goal of assessing performance. To create an accurate, comprehensive sales forecast, you must consider several factors, both within and outside of your organization. Take into account previous sales performance, current industry performance, company or industry changes or growth, and the larger business environment (perhaps global). On the flip side, be conscious of areas where you might have inadequate history or data, and don’t automatically give all data equal weight. Additionally, be sure to adjust any historical financial numbers for inflation. What are the major causes of delay in a project? Which project stages usually have a lot of delays? What is the realistic time to complete each project? What are the different project stages, and which are most reliably successful? For client projects (versus internal initiatives), how long do prospects generally take to accept the proposal from the time it is submitted to them? Concentrate on market niche services. Raise the selling price by introducing enhancements or add-ons to your services. Consider removing poor-performing products from your line or adding new products that could encourage buying. Introduce smaller, more realistic projects. Consider the closing time of potential deals. Sales forecasting is a difficult, often time-consuming activity that involves precision and attention to detail. You can save time and free yourself up to focus on the “science” of sales forecasting by using a premade solution to present the forecast. Sharing and Permissions: Look for a solution with multiple levels of sharing permissions (for example, viewer, editor, and admin), so you can share and collaborate on certain data sets with the relevant parties. You may also want the ability to lock certain rows or columns to prevent edits. Real-Time Collaboration: With live editing and updates, you can avoid version control issues. Some tools even allow you to highlight changes or obtain a revision history on any cell. Updates and Reminders: If you are including any process or action items in your sales forecast, look for a solution that allows you to set automatic updates and reminders. Formatting: Ensure that the tool you choose supports the formatting that will be the most intuitive for your team and its needs. (You’ll need to consider the technical skill level of your team.) Some programs or templates offer automatic formatting so you don’t spend extra time stressing over layout, and others might support filter or search to help find specific data points more quickly. One common formatting feature that people look for is the ability to filter your sales pipeline by stage and status; this allows you to drill down into your process and identify the stages at which deals are lost. Cell Linking: If your sales forecast will rely on, interact with, or reiterate data stored elsewhere, look for an option that supports cell linking among multiple sheets, so you can pull live data from underlying sheets. In some programs, you can link directly to these underlying reports to create a dynamic, connected presentation. Integrations: Consider whether you want to link your sales forecast with other applications used in your business. Sales forecasting and planning are essential activities to gain and retain customers, meet changing market demands, and ultimately, ensure business success. 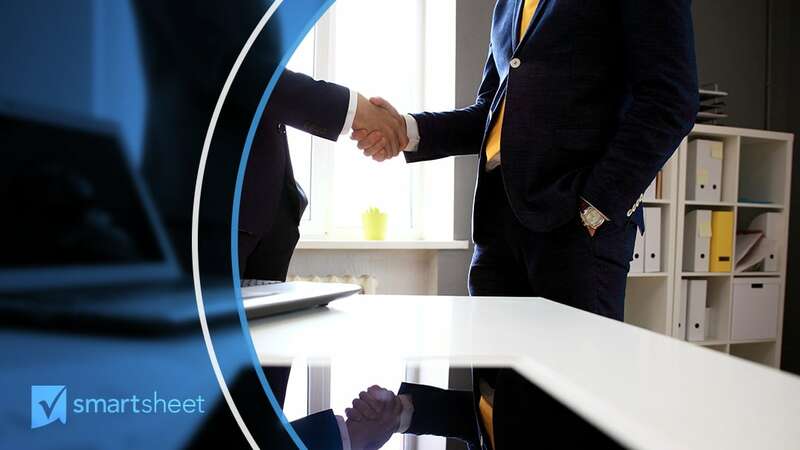 While premade templates can help you get started developing your plan, you need a tool to manage all of your sales processes and operations that is accessible to your team in real time and allows you to collaborate and track sales activity across multiple reps.
Use Smartsheet to build a strong opportunity pipeline, reduce risks and identify blockers, and refine your sales forecast. Improve transparency to process and procedure, optimize operations with cross-department collaboration, and accelerate team output. Try Smartsheet to discover how you can maximize your sales planning and operations efforts, today. Learn the basics of sales operations and how roles are evolving. Hear from the pros and find tips to remedy sales ops headaches. Learn how your sales teams can work faster and more efficiently with Salesforce for Smartsheet. Discover the top three tips to increasing collaboration across your sales and business teams.